The Iowa Food & Family Project will be participating in the Living History Farms National Ag Day event. 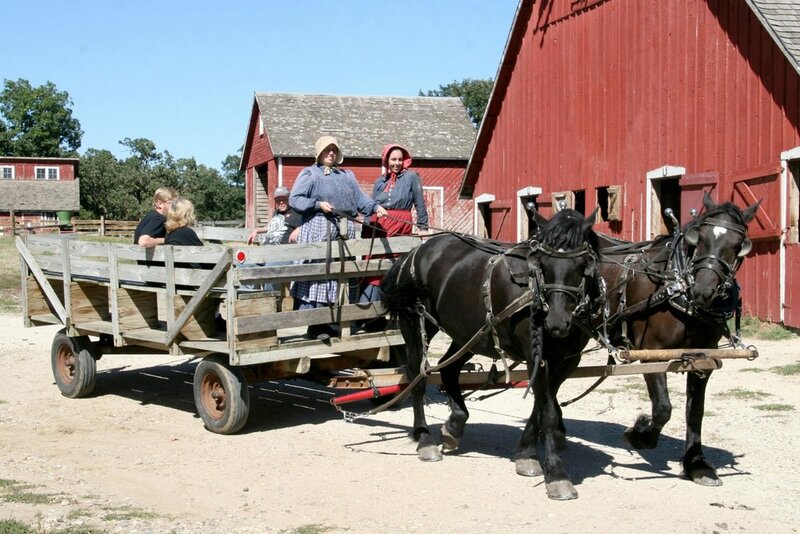 During the National Ag Day event, Living History Farms partners with a wide variety of community partners who are a part of today’s agricultural story to celebrate the role of Iowa and its agriculture. Guests can learn about how food products are made on the Iowa farm, the best food for a long and healthy life, and more through several fun activities and crafts. Guests can enjoy ag-themed activities, livestock demos, food samples, antique machinery on display, historic sites, and tractor and gator rides in the 1875 town of Walnut Hill. Click here to learn more about the Living History Farms’ National Ag Day event. Photo courtesy of Living History Farms.